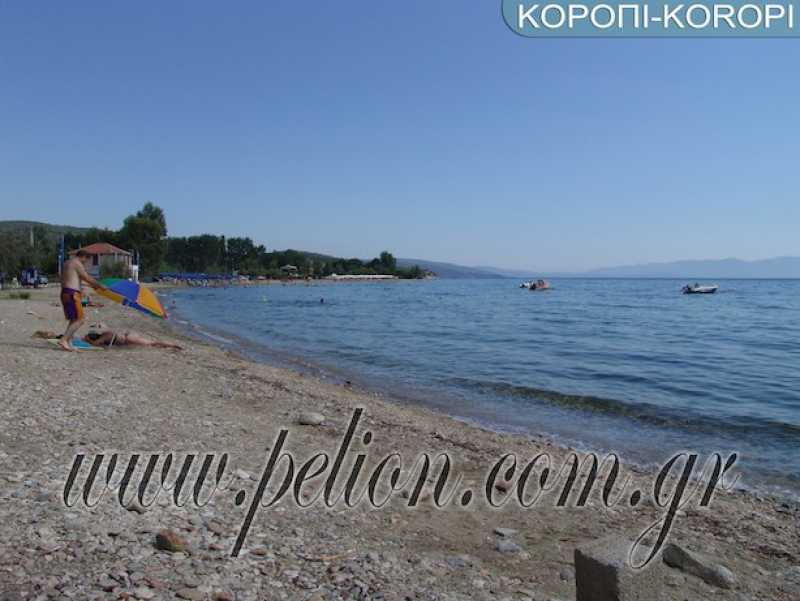 The beautiful coastal village located 21km from Volos and 8 km from the Milies. Located between Kala Nera and Afissos. A huge beach, the beach buffet on Pagasitic Gulf, organized, leisure and restaurant, ideal for swimming hiking and horseback riding. The region produces the famous Crystal pears with special aroma. In place Ramna was in antiquity, the temple and oracle of Apollo in ancient Koropaiou Koropi.